MUNICH -- BMW is considering new production sites around the world, with one option being Mexico, a person familiar with the situation told Reuters on Friday. German business daily Handelsblatt earlier cited company sources as saying BMW was examining whether to build plants in Mexico and eastern Europe, alongside existing plans to add production in Brazil. A decision could come in the third quarter, the newspaper said. 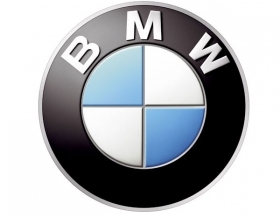 A BMW spokesman told Automotive News Europe today that the company has no plans to add a factory in eastern Europe. "We won't build a plant in eastern Europe," the spokesman said. "We won't comment on further speculation [on possible plant locations] because we are in discussions about a plant in Brazil and negotiations are continuing." BMW has said previously that it is interested in building a plant in Brazil, but has threatened to pull the plug on this if new government policies there meant it could not profitably make cars. In January, the government levied a 30 percent increase in its industrial products tax on vehicles with less than 65 percent of their parts produced in the country, in an effort to protect jobs and automakers with factories in Brazil. Just like its peers, BMW sees sales volume growing faster abroad in coming years than in Europe, where the market is shrinking amid the eurozone debt crisis. The automaker, which had record group sales of 1.67 million vehicles in 2011, is seeking ways to boost annual demand for its premium cars and SUVs to 2 million by 2016. Volkswagen's premium brand Audi, a rival to BMW, revealed plans last month to build a factory in Mexico to take advantage of low labor costs there, as well as an exemption from import duties in some regions.